TJ Brodie with the filthy set-up, Johnny Gaudreau with the easy one-time finish. It was the highlight-reel goal everybody was buzzing about Saturday night, propelling the Calgary Flames to a 6-3 victory over the Winnipeg Jets for their first win of the season. The play that left the soldout Saddledome crowd of 19,289 oohing and aahing was Brodie's fake slap shot late in the second period that completely fooled Mathieu Perreault, sending the Jets winger spiraling helplessly towards the side boards. With everyone then expecting Brodie to try for his first career hat-trick, he zipped a sublime cross-ice feed to a wide-open Gaudreau on the other side of the slot, who was left with a yawning cage to deposit the puck into with goaltender Steve Mason, among others, caught out of position. That goal, which broke a 3-3 tie and stood up as the game-winner, was the crown jewel in each player's four-point evening, which tied a career-best for both of them. Expectedly, they were the two headliners subject to the biggest media scrums post-game. But when you roll the credits at the end of this movie, the name among the supporting cast that also deserves much attention is Curtis Lazar. Not to be forgotten, that go-ahead goal does not happen if not for the determined spadework along the end boards seconds earlier by the 22-year-old, who demonstrated strength, agility and skill in keeping the play alive. Busting in hard on the forecheck, right on the heels of his linemate Sam Bennett, who began the sequence by knocking the puck away from Jacob Trouba, it was Lazar, who then stripped the puck from Dmitry Kulikov behind the Jets net. While fending off the Russian defenceman, who was going to be penalized for knocking him down, Lazar got back up from his knees, all while maintaining control of the puck. Thus, no whistle yet. As the referee with his arm raised continued to watch the play from just a few feet away, Lazar absorbed a check from Bryan Little, but yet again, he was able to keep possession of the puck. Thus, still no whistle. As he neatly spun away from Little, Lazar sent a nifty little pass to Gaudreau positioned further up the sideboards. From there, Gaudreau threaded a pass back to Brodie at the far point and you know know what happened next. "It started with Bennie on the forecheck. He made a good stop there," said Lazar, more willing to defer credit than accept it. "The forecheck is my game, regardless of whom I'm playing with, and to get in there. There was a delayed penalty so I just tried to keep it alive." But the contribution on that play from Lazar was not lost on the goal-scorer. "He did a great job," said Gaudreau. "Drew a penalty, stayed with it, chipped the puck right up the wall to me. It all started with him. That goal doesn't happen without him working hard down low." If you're curious why Bennett, Gaudreau and Lazar were on the ice together, this wasn't the by-product of the team in the middle of a line change. 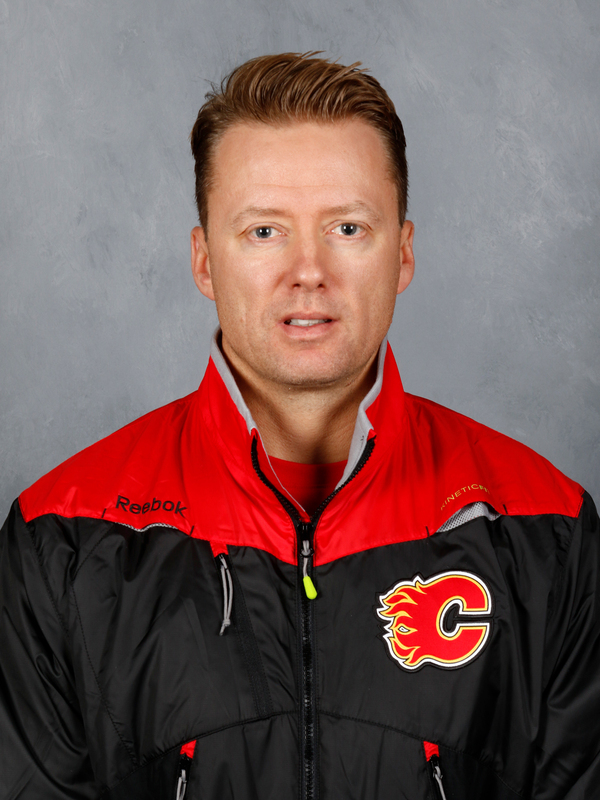 Near the midway point in the second period, Glen Gulutzan shuffled the personnel on his first and third lines, hoping to finding a spark. It worked. The team scored four straight goals in the span of less than 10 minutes to turn a 3-1 deficit into a 5-3 lead -- three of the four goals produced by the new combinations. "The reason I did it, I didn't think in the first 30 (minutes) that we were very good. I didn't see a lot happening, we were a little stale," said the Flames coach. "What went through my mind is sometimes guys get a little excited to play with Johnny. I put him with Curtis and Bennie and right away, their first shift, they had a little spark. Sometimes you get lucky with these things. I just thought that we needed a change." Lazar cherished the opportunity to play with No. 13. "He's obviously a world-class player and just to get the chemistry out there, it was great," said Lazar. 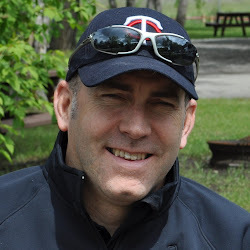 "I'll try and do the heavy lifting as much as I can, and just establish the forecheck. Even Bennie too, we were just feeding off each other. It's a great feeling." Sean Monahan, Micheal Ferland and Kris Versteeg formed the other re-jigged trio while the 3M line and fourth line remained intact. From the press box for game 1 to finishing game 2 on a line with Gaudreau, it was quite a meteoric rise for Lazar, especially when you consider he only got in Saturday's game because recently-signed Jaromir Jagr declared himself not yet ready for game action. "That was the joke I said this morning, I was probably the most hated guy in Calgary," said Lazar with a chuckle, well aware of the hype that had been built up for the anticipated debut of the future hall-of-famer, only for him to be the consolation prize -- complete with sad trombone. "That speaks volumes to the depth of our hockey club," Lazar said. 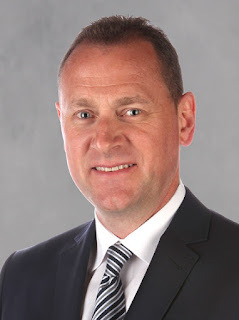 "Obviously, bringing in Jaromir here, he's going to help out our hockey club a lot. Just being there in his spot, I just tried to do my job. I didn't try to be Jaromir Jagr because that's near impossible. I just play my game, work and we got the win, and that's all that matters." 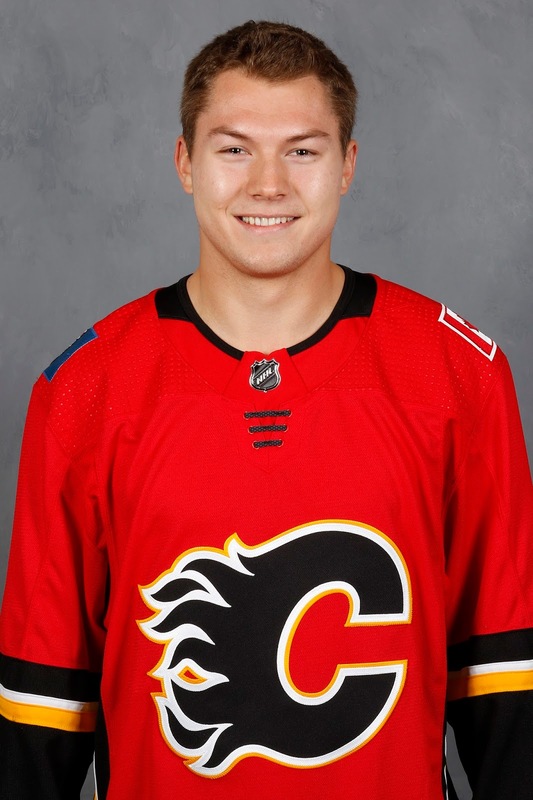 While Lazar was just kidding when he said he was the most hated guy in Calgary, the truth is there has been a lot of fan displeasure with his play during the preseason. Social media has a way of making these things quite apparent. Acquired from the Ottawa Senators last trade deadline in a deal that cost the Flames a second round draft pick, then signed to a new two-year, $1.9 million deal in the summer, expectations were high and prior to Saturday night, he had not met them. Not even close. In five preseason games, he was not very noticeable. He was not on the ice for a single goal, had just four shots and only contributed seven hits. He was a minus-2 while also being on the ice for a couple of power play goals against. "My mindset hasn't changed. It hasn't changed at all throughout preseason," said the native of Salmon Arm, B.C.. "I started slow out of the gates, but I think you guys were more concerned than I was. I was preparing for my first game here in the season." That first game went much better. In 11:07 of ice time, Lazar delivered an effective performance all night. He had that one assist, he was a plus-two, his three hits were a game-high and he had four shot attempts -- two of them on goal -- along with a handful of other chances that went unregistered. Just prior to Brodie's first goal at 8:42 of the second, which started the Flames comeback, Lazar was robbed by Mason when he was set up perfectly on a 2-on-1 by Gaudreau. That was the new-look line's first shift together. "Just my luck," said Lazar, smiling as always. "That was probably the best one-timer I've ever taken. Again, it's not something to get frustrated at, we scored right after, but I'm just glad I got good wood on it and it's something to build off of. I never want to get down on my game and what not because the next shift is always going to be a new opportunity." Other opportunities did, indeed, follow. On one rush, he had a cross-ice pass from Bennett just skip past him at the far post. With two minutes left in the game, he got the puck alone at the face-off dot but in his haste to spin and get a shot away, he fanned on it. "That last one, a few more wrist curls in the gym and it's probably a different result," quipped Lazar. To stay in the line-up, Lazar will need to continue to have this same type of impact, regardless of who he is playing with. Selected 17th overall in the 2014 NHL Draft, that's well within his capabilities. It's why Calgary pursued him. "Great for him," said Gaudreau. "I don't think he'll have a problem staying in the line-up if he keeps playing like that. He did a great job tonight, very impressive and I had fun playing with him and Bennie." Gulutzan admitted post-game he has some decisions to make before Calgary's next game Monday night at the dreaded Honda Center. "He showed great speed, he worked, he got in on the forecheck and created some of those opportunities for the other guys," said Gulutzan, praising Lazar's play. "I'm going to have to go through the game and make some choices depending on where Jags is at and where guys are at, but I'll wait until I go through the video again and see what looks like the right line-up for Anaheim." Trying to find room in your line-up to fit in impactful players, that's a good problem to have if you're the Flames coach. Full credit to Lazar for doing exactly what he needed to do with his opportunity to play and making Gulutzan's next line-up decision that much more tougher. "Just play your game, regardless of whether it's going good or bad," said Lazar. "You just stick with the process, you trust it, you trust your teammates and the system and here we got the result we want." It's no secret what this team badly wants -- and needs -- on Monday against the division-rival Ducks. And when game time arrives, expect Lazar to be in uniform with a chance to contribute towards what would be the first win in that arena since 2004. He certainly has earned it. Funny we just talked about him the other day. What really impressed me was his play away from the puck. After losing possession he worked so hard to get back defensively some others should learn from that. His efforts then became rewarded. But it's one game a good building block but still just one game. Hi Darren. The Flames don't seem to attempt a lot of line-matching on the road. Other coaches seem to short-shift and double-shift when necessary to get the matchups they want in other barns. I can't recall GG ever commenting on this; is it a subject that might be worth an article sometime? One solution to needing to line match is have four solid lines that can play different roles the Flames could move in that direction if they played some younger guys but at this point I would be happy with 3. If GG allows Johnny/Bennet/Lazar another game and they continue to play like they did then the Flames make progess. I hope the coach has the sack to keep Lazar in the line up with 93 & 13.